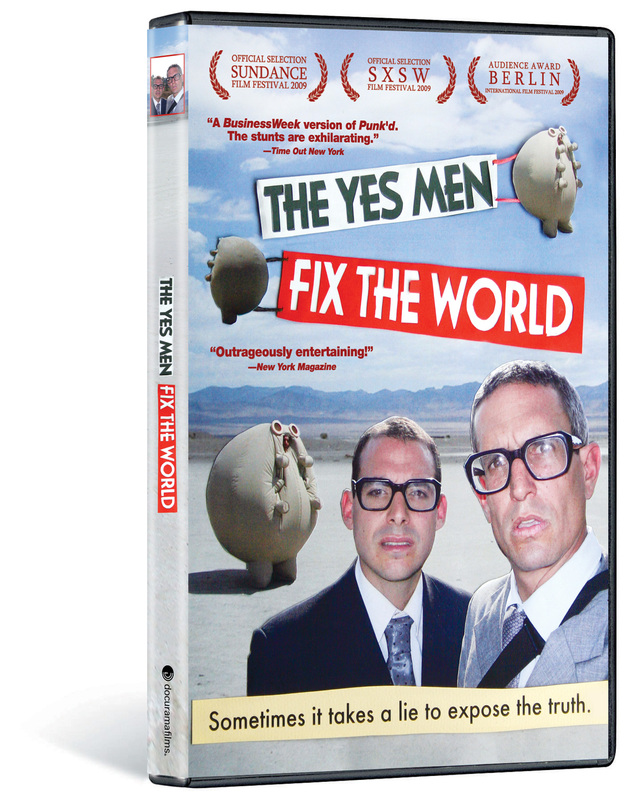 A wickedly fun skewering of corporate greed, THE YES MEN FIX THE WORLD is the true story of two conscientious mischief-makers who pose as the representatives of companies they despise. In this wonderfully therapeutic film, Yes Men Andy Bichlbaum and Mike Bonanno impose cosmic (and comic) justice by any means necessary. To a television audience of 300 million, Andy (posing as a Dow Chemicals spokesman) announces that Dow will finally compensate the victims of the Bhopal disaster, causing the company’s stock to instantly plunge by $2 billion. At an oil industry conference, the Yes Men introduce a wonderful new Exxon miracle fuel made from the bodies of global warming losers. 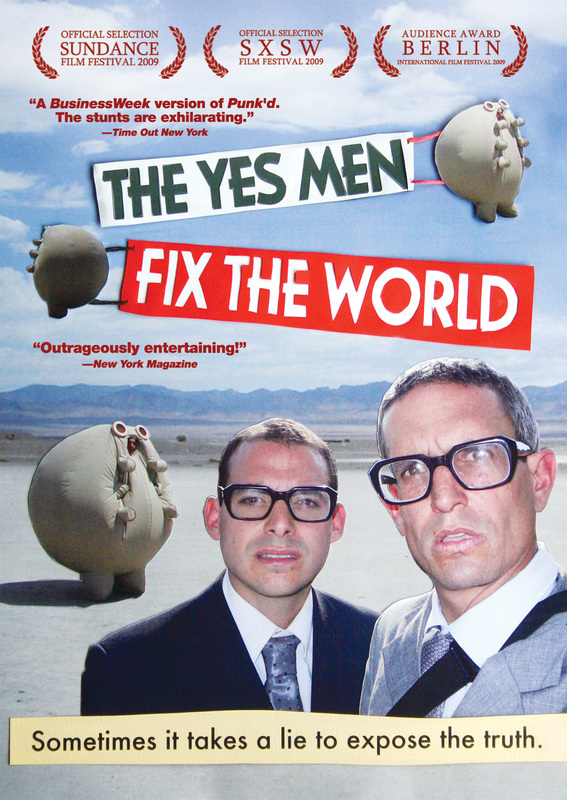 THE YES MEN FIX THE WORLD “shines with a raw wit and originality” (Newsweek) as it fearlessly follows the twisted logic of corporate capitalism to its crazy conclusion, exposing the hilarious and awful absurdities of the economic system that ruthlessly rules the planet. 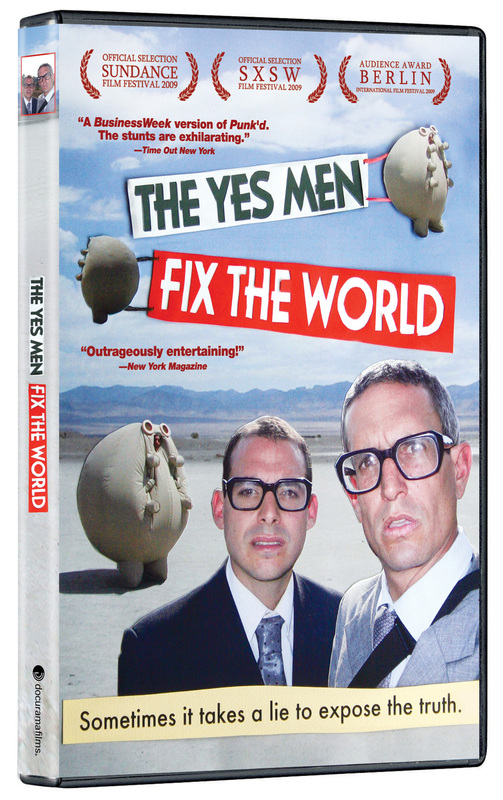 The Horribly Stupid Stunt: The Yes Men pose as the World Trade Organization in this legendary action; Deleted Scenes; Additional actions and videos; Theatrical Trailer; Filmmaker Biographies and more! ©2009 Common Decency, LLC/Article Z/ARTE France. Art and Design ©2010 New Video Group, Inc. All Rights Reserved. Marketed and distributed in the U.S. by New Video.